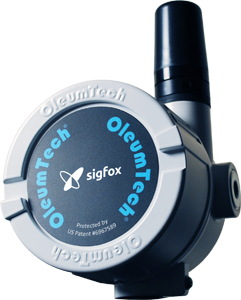 The GP line of Sigfox-Ready wireless sensor nodes are design for monitoring critical process applications in non-hazardous locations. The GP nodes can be powered using line power and optional battery, providing extreme flexibility in deployment. The GP nodes provide exceptional quality, reliability, and superior value for collecting analog, discrete/digital, and temperature data. 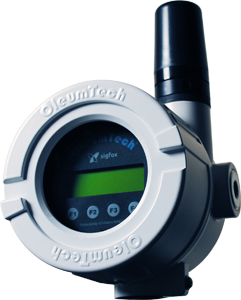 The Class 1, Division 1 (Zone 0) certified wireless sensor nodes with a local display and push button interface is the premium line of transmitters offered by OleumTech for deployment in hazardous areas. These sensor nodes can be programmed through its own interface, eliminating the need for a PC while having the ability to instantly view the process data. The Class 1, Division 1 (Zone 0) certified wireless sensor nodes are designed for deployment in hazardous locations. The C1D1 nodes provide exceptional quality, reliability, and extremely safe for collecting process data such as level, discrete, flow, temperature, and more. These nodes are intrinsically safe, meaning they cannot create a spark and can be worked on with or without the cover or having to removed from the process.